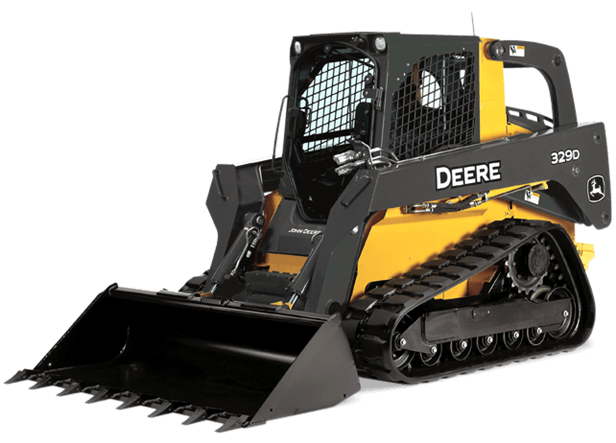 Loaded with customer-inspired enhancements, the 329D Compact Track Loader offers a roomier operator station, a quieter pressurized cab with best-in-class visibility, and swing-out doors. You also have a choice of numerous productivity-boosting options including electrohydraulic (EH) joysticks with one selectable control pattern and variable boom and bucket speed settings. Other innovative advantages include a highly efficient and easy-to-clean V-plenum cooling system. And an easier-starting electronic fuel-injected PowerTechT E diesel. As always, grouped checkpoints, advanced diagnostics, and wide-open access help speed servicing, minimize maintenance, and lower daily operating costs.